Here’s what’s happening in the world of television for Monday, July 30. All times are Eastern. 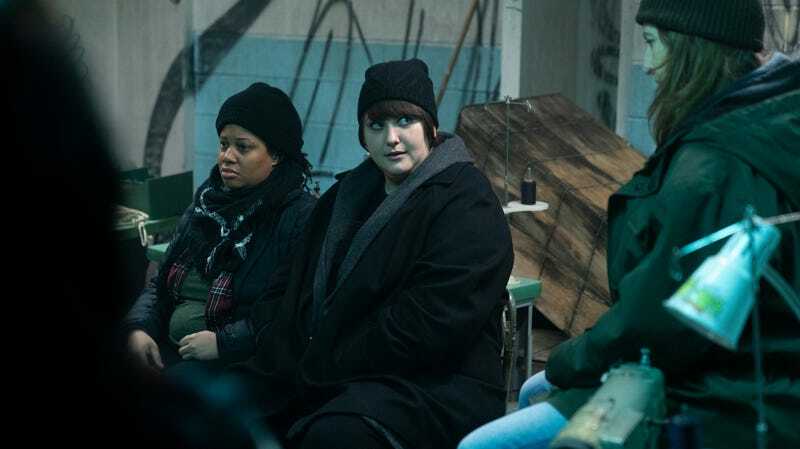 Dietland/Unapologetic With Aisha Tyler (AMC, 9 p.m. and 10 p.m.): Plum (Joy Nash) has really been put through the wringer in season one, but she began to take back control by opting out of weight-loss surgery in the penultimate episode. That decision brought her closer to Jennifer, but Belle (Selenis Leyva) remained skeptical of Plum’s desire to dismantle the patriarchy, especially after she balked at murdering a(n innocent) man. Now Plum is facing her own tribunal, as is the show in its final episode of the year—did Marti Noxon deliver a cohesive and incisive interpretation of Sarai Walker’s novel? Prepare your talking points and then hash out the end of the season with Aisha Tyler on Unapologetic. Love & Bananas: An Elephant Story (Starz, 9 p.m.): It was a 2013 documentary, An Apology To Elephants, that prompted Ringling Bros. to phase out its acts involving Asian elephants. But Ashley Bell’s documentary, Love & Bananas, explores the ongoing threat to these gentle creatures.